This guide is all about how to optimize ads on your website and blogs for maximum earning. I will share some of the best methods and practice to optimize the ads on your website so that you can earn more and some tools which help you to optimize the ads on your website. I am sure many a time we come across this situation. 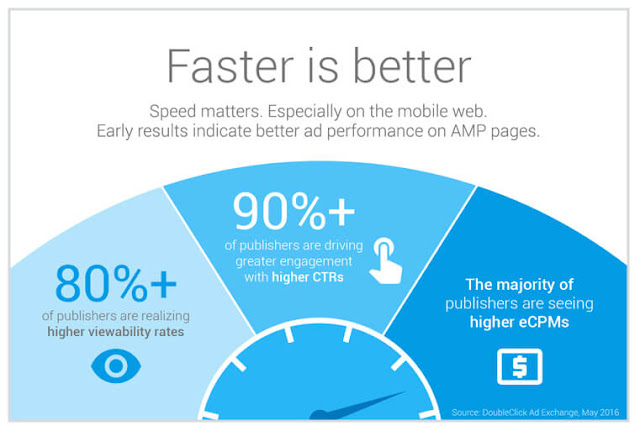 There are multiple factors on which the ad performance depends. Here are some of the factors on which earning from ads depends on. • Ad placement –location, color etc. 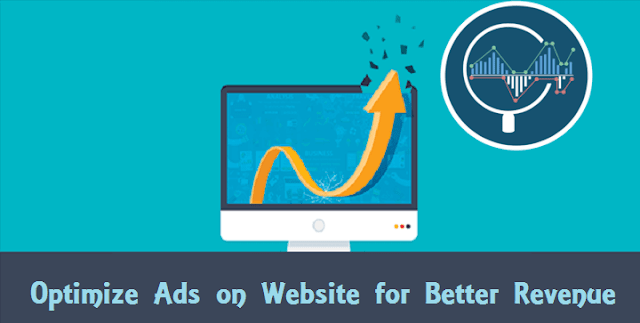 There are N number of different factors on which your earnings from display ads depend. Here is a simple image showing data as how ad size impacts the visibility to your visitors. As you can see the most visible ads are vertical unit followed by square ad units. But hold on…ad size is not just the only factor which affects the ad revenue from your website but there are much more. I will talk about some of the awesome tools which will help you to optimize your both display and text ads on your site and will help you to increase more than 100% revenue. But before looking into the tools, let me share some best techniques to optimize Your Website for Faster Ad Serving. There are again a lot of factors which you should consider to optimize your website for faster ad serving. These are very common factors and you can take care of these while uploading or posting anything on your site like blog posts or adding any new page etc. In this section, I will be sharing some best ways to optimize Your Website for Faster Ad Serving. It is always a best practice to reduce the blog load time as it helps your site to load quickly and users won’t get irritated. Keeping your image size less will help your web page to load faster. It is advisable to keep all your image size to be less than 600 KB. The less it is, the better will be the performance. There are many ad networks available currently and all of those usually claims to be the best. But you should not blindly start with any ad network as there are many networks which don't provide the optimize ads and so their ad takes a lot of time to load. If after using an ad network, your pages have started loading slow, it’s time to think and avoid such slow networks. Asynchronous ad units are better for the websites. If your ad network allows you to choose between synchronous and asynchronous, then just go for the asynchronous as it loads separately from the page and so won’t contribute to the page load. Just for the sake of earning, don’t bombard your webpage with the ad units. It won’t help you in the long run as your readers will get annoyed and will stop visiting you again. So just to maintain the balance between your reader and earning, try to keep the number of ad units between 2 to 4. This figure is considered to be ideal. A dedicated server or VPS hosting can definitely add more flavor than the shared hosting as they are highly optimized for best performance and has greater bandwidth. Usually, shared hosting is overloaded causing the delay in page load and so VPS/dedicated can be a better option considering you have good traffic and your site is generating some decent income. There are many other methods as well which will help you to make your site perfection terms of ad serving like page element optimization etc. In recent years, many companies have come forward and have started providing the ad optimization services. Let me here list 3 best Ad Optimization platforms. I have personally used a couple of these and third being my friend and so can tell they are dominating the ad optimization platform industry nowadays. Here are the top 3 Ad Optimization platforms which will help you even more than double your ad revenue with same traffic. All you have to do is, join any of these and start your revenue climbing and being multiple folds. Ezoic is a service which helps you in a way so that your ads can generate maximum possible revenue from your site with the same traffic. Currently, Ezoic technology is used by over 20 Million people every month and this itself tells the story of Ezoic. Nowadays we usually heard the term A/B testing or split testing…what it is and why this is being done? Results of A/B testing done on ad spots on your site helps us to find the better performing ad space and so you can use that space more efficiently. Everybody knows this but how many of us implement. This is where Ezoic helps us. It tests your site by trying different ad spaces on your site and based on their tool’s result, it will give you the best performing one. There are a number of features of Ezoic which helps you to earn more. Here are some of their excellent features of Ezoic which will help you in the long run. Recently mobile users have increased a lot and so if you are a serious business owner then you must monetize mobile and tablet traffic efficiently. And so Ezoic will automatically create tablet and mobile versions of your site and test layouts on all devices to find the best. It will test the site by placing the ad code in different color, location and size and then with the help of a tool, it will analyze all the combination and will suggest you the best and so increase your revenue. First of all, you can try 30 days free trial and see the effect and after 30 days you can upgrade yourself to any of the below plans. 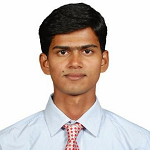 • In the second professional plan, they will charge depending upon the revenue you are generating from your site. If you are generating up to $5000 per month then they will charge your $249 per month. So, you should definitely try Ezoic if you are going with CPM ads and aim to earn maximum out of it. 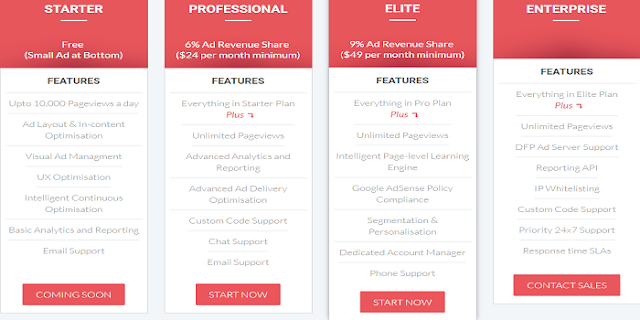 Adpushup is another ad optimization tool helping you to increase your ad revenue. It mainly optimizes the layout of ads and increases revenue. Currently, they are helping over 1300+ publishers to increase the earning. In ad optimization, they take care of all the options like color optimization, size optimization etc. • Ad Layout Optimization: Create ad layout experiments instantly. Automatically optimize ad sizes, placements, types, and colors. • In-content Auto Optimization Technology: Save time and effort while In-content auto optimization scans and intelligently inserts ads in your content without affecting UX. • Visual Ad Management: Use the unique and powerful point-and-select visual editor to control multiple ad properties and set up experiments. • User Experience Optimization: Increase revenue without compromising your website’s visitor experience or modifying its design template. You can choose the one which suits your business better. AdEspresso is mainly to optimize your social media ads and not especially for the optimization of ads available on your site. I have included them here as social media especially Facebook are in craze these days and it’s a better option to reach the target audience. It is a powerful Facebook ad manager helping you to customize and optimize your Facebook ads. 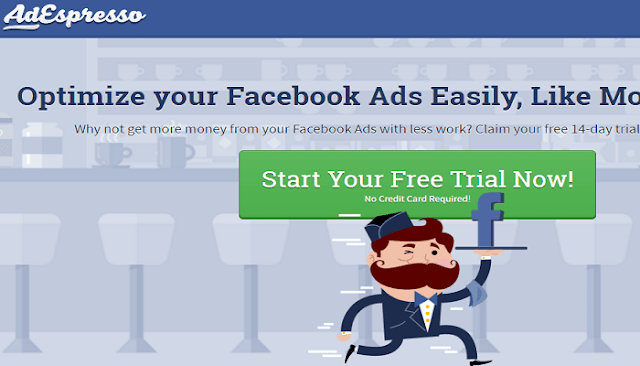 • Create thousands of variants of your Facebook Ads with only 3 clicks. • Have multiple target audiences? Easily test all the versions of your creatives across all your target audiences, building powerful Ads that convert. • Save your preferences, for audience demographics instantly to be reused for any campaign. • They store all your media so you don’t have to keep uploading that same picture. 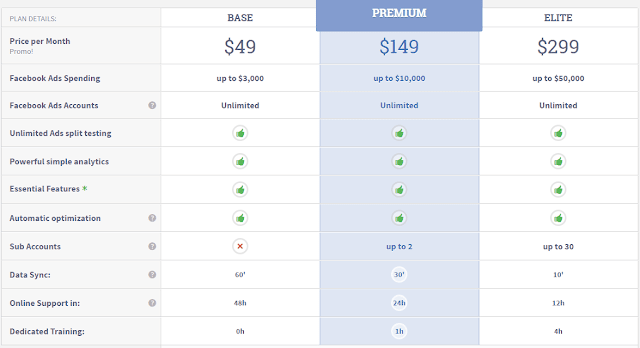 They too have different pricing options and you can choose depending on the size of your campaigns. They also provide 14 days trial. Optimizing your site for the better ad and optimizing ads for better revenue both are equally important and if you have both, you will be able to earn great money from the same traffic. I hope these tips will help you to optimize your site in a better way and you can subscribe to any of these tools to increase your ad revenue multiple folds.